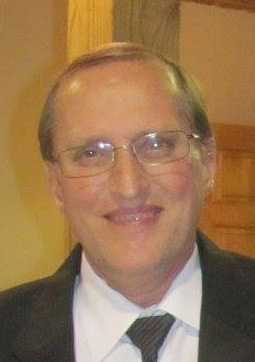 BADGER — Michael K. Scott, 63, of Badger, passed away on Sunday, April 7, 2019 at Mercy Medical Center in Des Moines. Funeral services will be held on Friday, April 12, 2019 at 10:00 a.m. in the Chapel of the Laufer­sweiler Fun­eral Home and 10:30 a.m. at Sacred Heart Church. Burial will be in Corpus Christi Cemetery. Visitation will be on Thursday from 4:00 to 8:00 p.m. with Rosary at 3:45 p.m., all at Laufersweiler Funeral Home. Survivors include his wife, Jane of Badger; son Brad (Chelsey) of Badger; daughter, Becky (Eric) Yunginger of Sac City; grandson, Casen Michael Scott; brothers, Tom (Kathy) Scott and John (Linda) Scott; sisters, Karen Scott, Colleen Scott, Kathleen (Gary) Blumenshine, and Susan Hicks; numerous nieces and nephews; and his in-laws the Schliske family. He was preceded in death by his parents, Paul and Bernadine (Hanna) Scott; brother, Richard “Rick” Scott; and his nephew, Brian Scott. Michael Kevin Scott was born on January 19, 1956, in Fort Dodge. He attended schools here and graduated from Fort Dodge Senior High School in 1974. On September 20, 1980, he was united in marriage to Jane Schliske. The couple made their home in Badger. For 28 years Mike worked at the Fort Dodge Labs (Elanco) until his retirement. He enjoyed fishing, playing golf, and spending time outdoors tinkering in the garage with his dog, “Sissy.” Mike especially loved being with his family.